Charming house in Zahora, with a rustic style interior of stone and wooden beams. It is made up of two floors and is set in a private gated complex, with closed parking. There is a communal pool shared with 3 other houses. 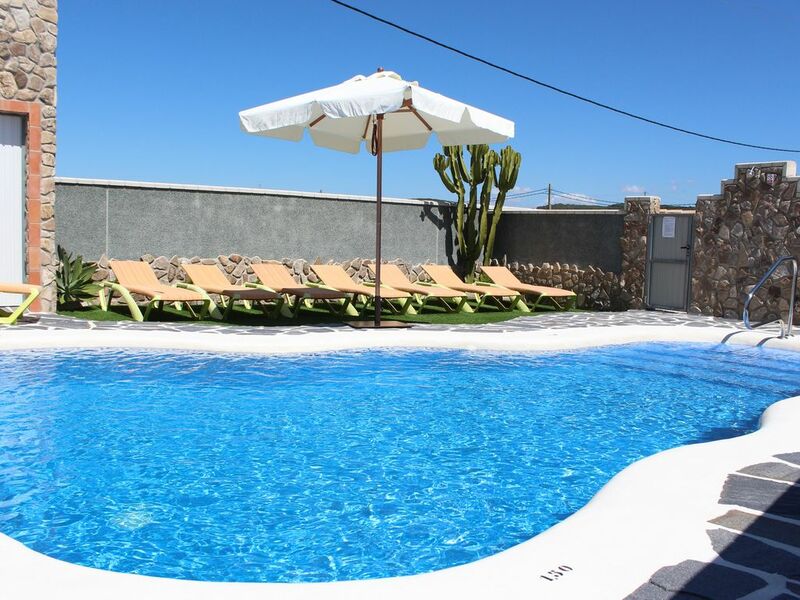 It is located just under 10 minutes´ walk to unspolit Zahora beach. On the ground floor you will find a lounge with a fireplace, a fully equipped kitchen and a toilet. On the first floor there are two bedrooms, one with a double bed and the other with two 90 cm single beds, and a bathroom with shower. Outside there is a well tended garden with barbecue, trees and lawn, and also a furnished terrace with porch at the entrance to the house. The property is equipped with hot/cold air conditioning and WiFi. Here you can breathe peace and quiet, situated in a rural area and close to la Breña natural park, and the large unspoilt beach. Everything is close at hand, you can walk to lots of places, to the beach and the villages of Zahora and Los Caños with a variety of restaurants and a grocery shop.